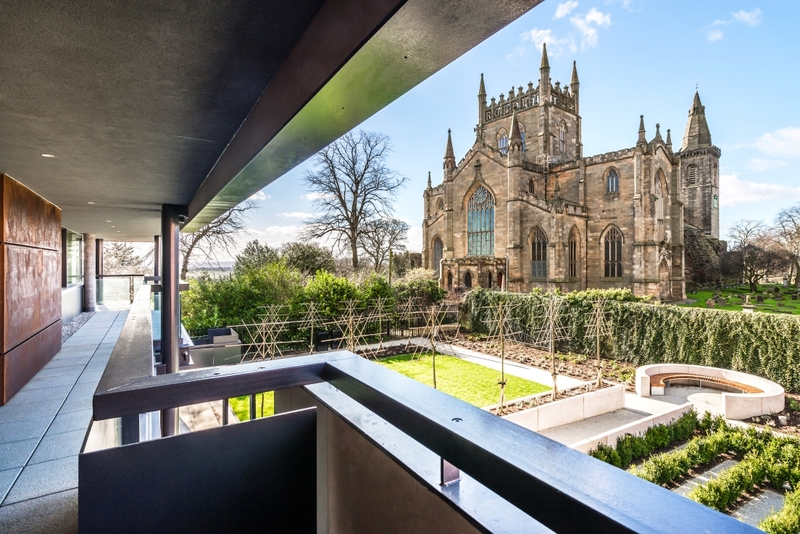 The intriguing and impressive story behind the formation of Dunfermline as we know it today is not something I knew a lot about, so when the new Dunfermline Carnegie Library and Galleries opened last week it was a perfect opportunity to find out exactly what secrets this beautiful town holds. 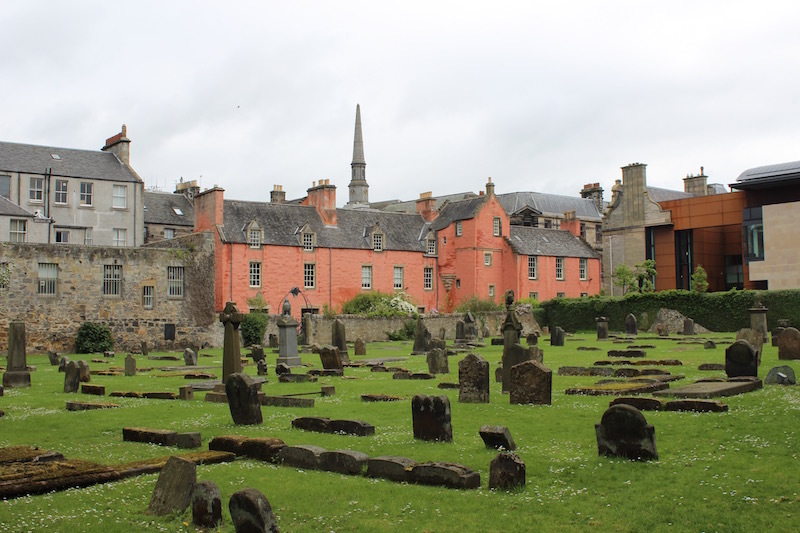 I began with a whistle stop tour of the impressive Heritage Quarter with Jack Pride from Discover Dunfermline tours whose passion and knowledge for the town was infectious. 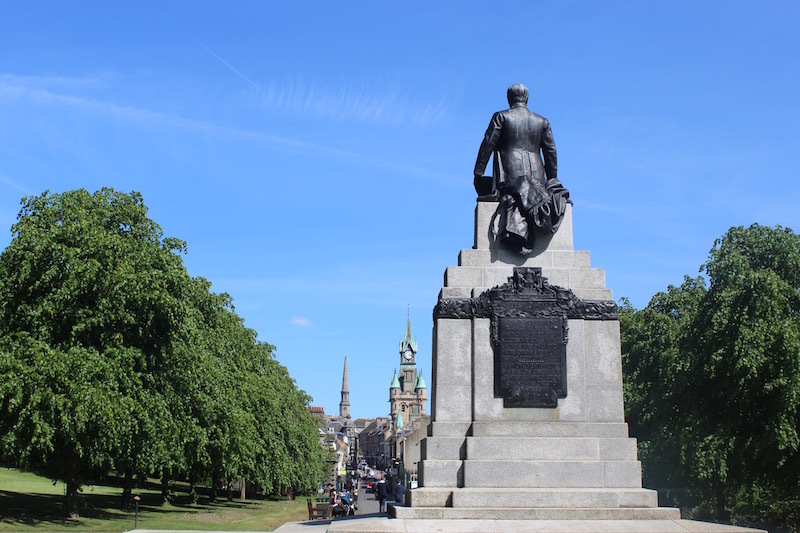 The man who made such a huge impact on Dunfermline, and who the new museum is named after, lived in a cottage in the centre of town which was bought for him by his wife in 1895 as a 60th birthday present. I began with a visit to the cottage, which has recreated rooms and a fantastic display room, showing the life of Carnegie, how he came to be the richest man in the world and how he gave his fortune away. The last remaining piece of the old city wall sits across the road at one of the entrances to Pittencrieff Park where you can see a section of an arch that once lead up to the palace. 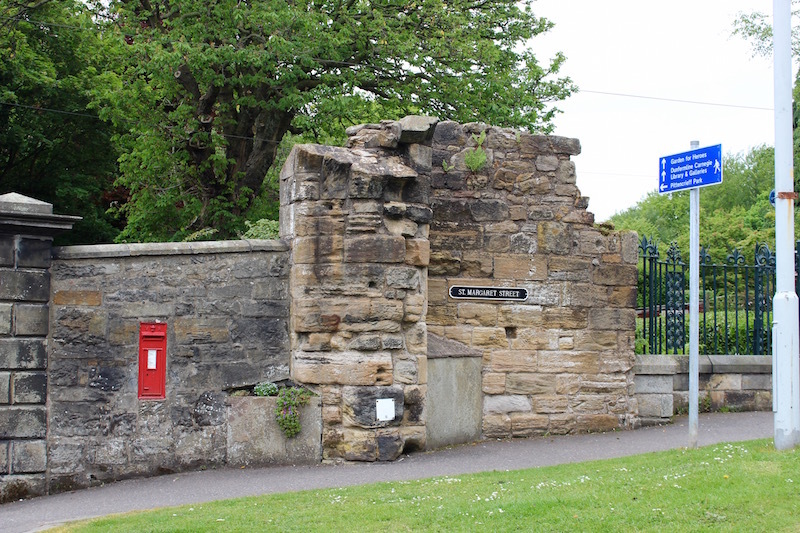 Look out for - The only surviving Victorian postbox, erected in Dunfermline in 1857. An Abbey built for a Saint. 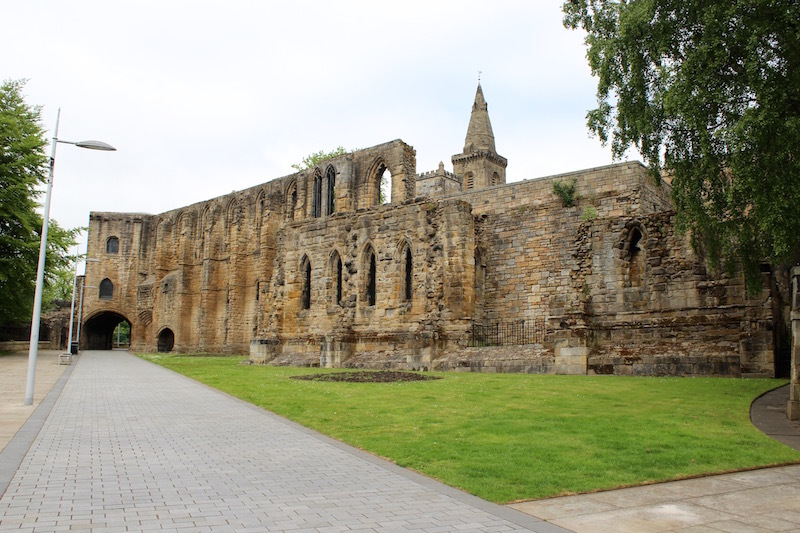 When Saint Margaret first arrived she loved Dunfermline so much she built a religious community there. 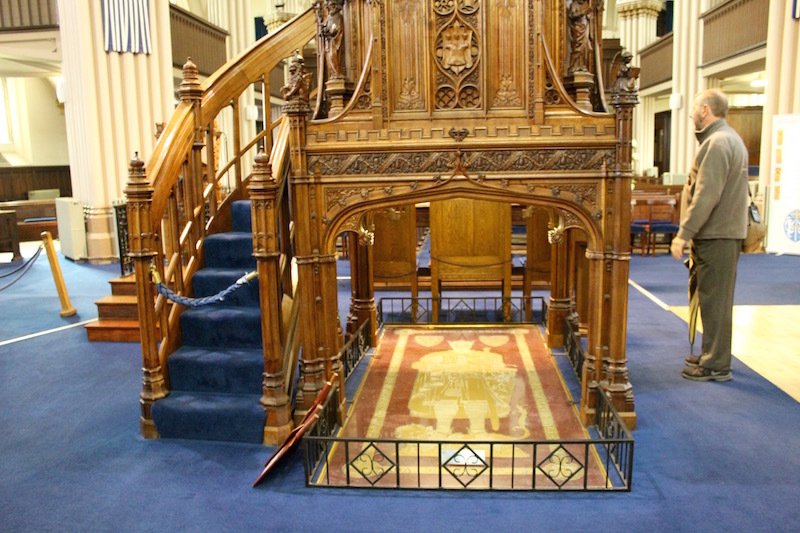 It was her son David who made it as grand as it was as a fitting tribute to his mother. Probably built in the 13th century, it was extended by King James VI for his wife, Anne of Denmark, when it became a Royal Palace. An impressive amount of the Palace still remains and as you look at the ruins it's not difficult to imagine how it must have looked on its heyday. The sheer size of the main wall, with three levels of arched windows shows how mighty the Palace once was. 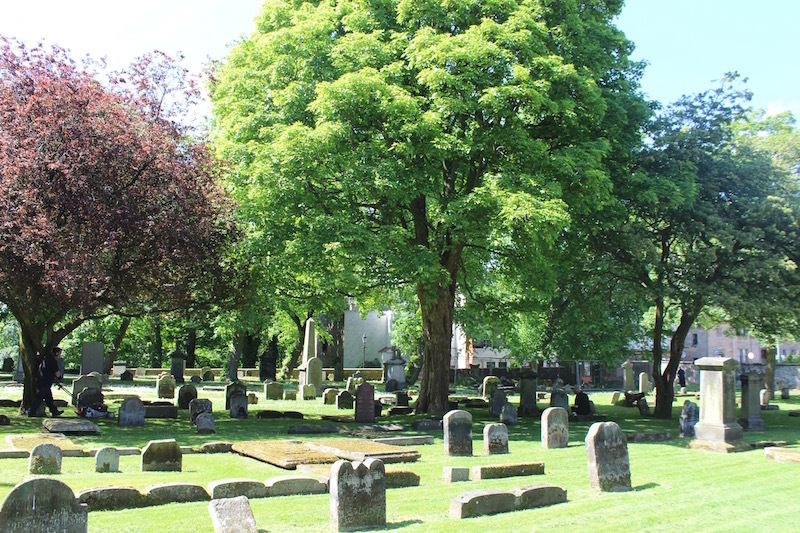 Look out for - The Thorn Tree in the Abbey grounds beneath lays the mother of William Wallace. This building is well worth exploring. The mixture of Gothic, French and Scots baronial styles make it one of my favourites. Designed by James Campbell Walker, who also designed the first ever Carnegie Library, it was finished in 1879. 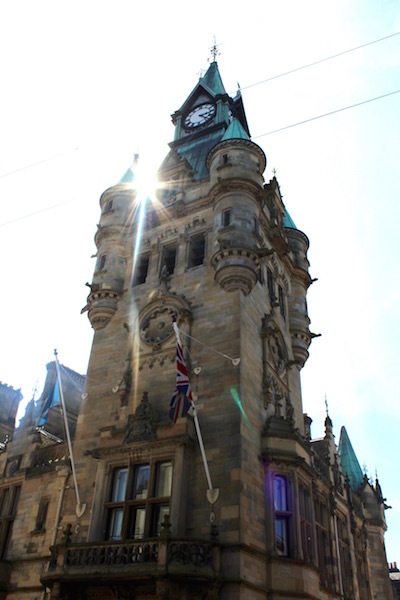 The massive four-faced clock tower can be seen from almost anywhere in the town. There is so much detail on each of the outside walls that you always find something you’ve never seen before which is why I like it so much. This building was built to replace an earlier Town House which was built in 1771, which in turn was built to replace a 17th century Town House. Randomly situated at the back of Chalmers Street Car Park is the cave, which is thought to have been used by Margaret to pray in solitude. At the time, 900 years ago, the surroundings will have been parkland and she would have walked from Malcolm’s Tower along a path to here to carry out her acts of devotion. It’s a strangely atmospheric walk down the 89 steps into the cave. Unfortunately now closed this salmon pink house is the oldest in Dunfermline and once told the story of how the town was born. 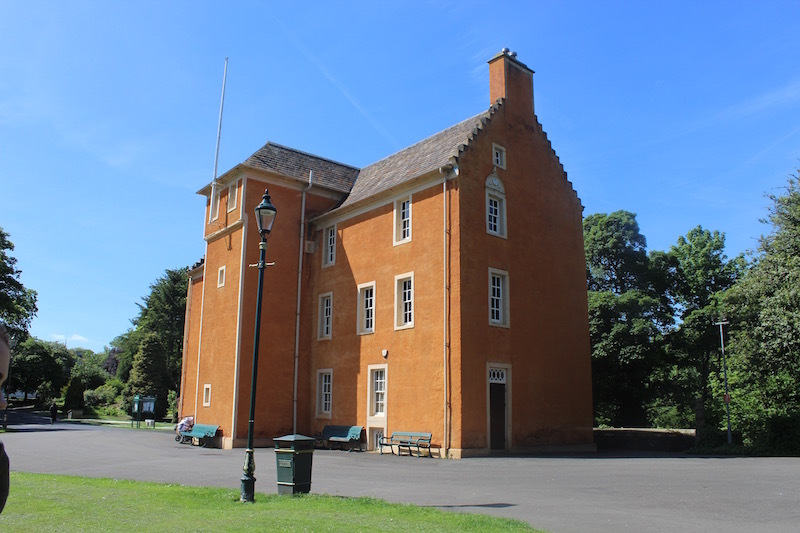 At the moment it finishes off your photos of the Heritage Quarter nicely but as it is now back in the hands of the Carnegie Trust we will hopefully see it refurbished and open once again. I had a little idea of what to expect having seen the progress from the outside a few times but the inside truly lived up to all my expectations. It is brilliantly designed and fits in beautifully. 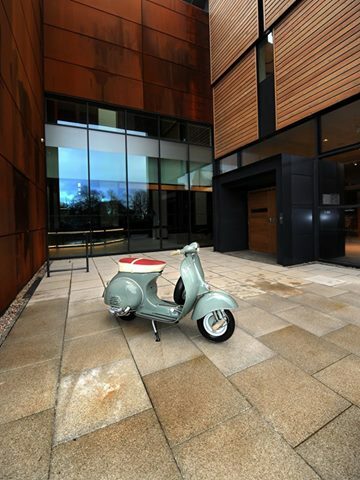 The strategically placed windows allow fantastic views over the manicured gardens and the Abbey. 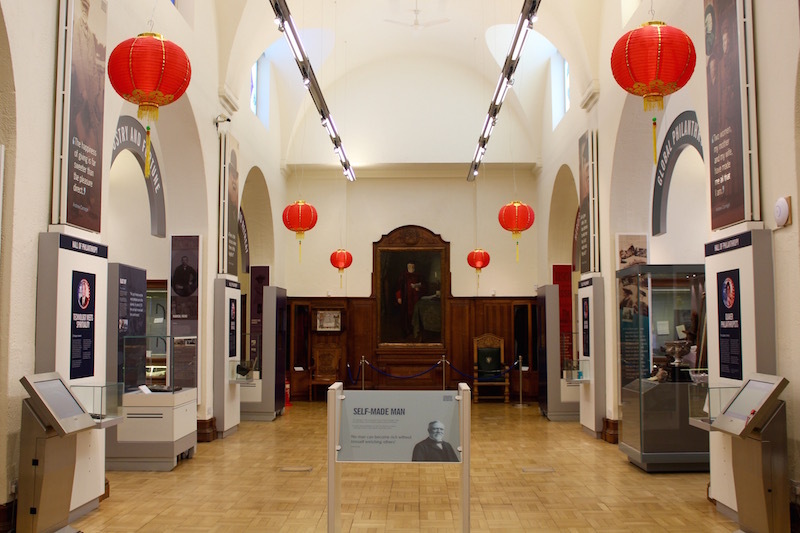 The story of Dunfermline is told through interviews, film and interactive displays with historical collections ranging from transport to the World Wars to industry and religion. There is also a mezzanine café so you can relax with a cuppa while admiring the view.